When we shipped the XenApp 6.5 Mobility Application SDK (XAMA SDK for short) last December, it included documentation and samples. Unfortunately the documentation and samples were not tied together on the web pages and it was not obvious that the samples were there. This has changed this week. The SDK team have updated the web documentation to include the samples and make it possible to download them. But wait, there is more. Not only are the original samples included but we also have new samples for C# and WinForm-based programs. The official SDK documentation location is http://citrix.com/mobilitysdk/docs. Our recent plans have revolved around updating the documentation more often and making all of it online instead of waiting for the next shipping SDK version. This means that the existing PDF document will be replaced with the online docs. It has been quite an experience to embrace doxygen as the primary tool for generating the SDK documentation. It was the right choice and we have not exhausted the possible uses for it. Most recently I have been exploring what it would take to support other written languages with Japanese being the highest priority. If you are itching to get straight to the samples, the link is http://citrix.com/mobilitysdk/docs/cmpsamples.html. If you just want to download the entire samples in one go, get the lot. We spent a fair amount of time creating new samples and also revamping the ones we had. Overall the samples are easier to read and make it more obvious how they work. In case you have not heard, our Mobility Pack is going to be supported by XenDesktop in the not too distant future. This will make it possible to support a whole new user base with the same set of API. Interest in the SDK is growing and it is exciting to see developers think of new uses for their customers. We are still in the early adopter stage but things are moving ahead much faster than what I expected. We only shipped about three months ago. To me, the most positive feedback comes from developers who want more. It means that we still have a bright future for more advanced versions. The process of an evolving product helps to secure a position in the market. 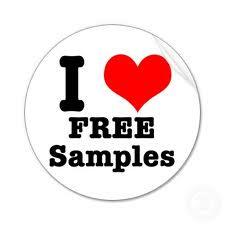 So, do not forget to collect your free samples. Be the first of your peers.